Me and my car We meet Nick Sahota, to explore his amazing BMW collection, and one of the most controversial models in it. 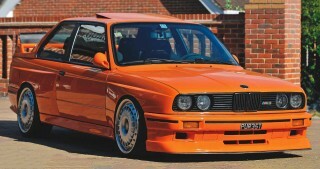 E30 DREAM MACHINE An enthusiast's favourite from his amazing, 14-car collection Fast and furious? Chris Graham meets Nick Sahota, to explore his amazing BMW collection, and one of the most controversial models in it. While there are a great many BMW enthusiasts who own two or three different models, those whose collections run comfortably into double figures are a good deal thinner on the ground. When it comes to BMW, there are owners who are simply passionate about the marque, and then there’s Nick Sahota. Nick has taken his enthusiasm to amazing heights, housing his collection in a custom-made, two-storey garage complex with fully-glazed bi-fold doors, tiled floor, artful lighting and central heating. His cars consist primarily of older BMWs, as that’s where his real interest lies, but he has a rare and desirable new model too, as well as a smattering of other German and Italian exotica. What’s more, given the fact that Nick’s still only in his late 20s, and his interest in the machines from Munich shows no sign of abating, it’s more than likely that his fleet of interesting BMWs will grow from its present level of 14 cars, over the coming years. That 520i remained in the Sahota family for about 15 years until, sadly, it was written-off in 2004. “Partly as a tribute to that car, a 1991 E34 Alpina B10 3.5 that’s in my collection now carries the same registration number – GSX 2T – that the 520i used to carry,” Nick added. Sadly, Nick never actually drove that first E36 because he decided to sell it just before taking and passing his driving test. “Overall, I think I made about £300 profit on that car,” he recalled, “although that didn’t really reflect the hours and hours of work I’d put into it. But it was certainly better than making a loss. By that stage, I’d also managed to build up some savings, and had decided that it would be best to buy something in better condition to use as my first car. “As it turned out, at the time I passed my text, my granddad was driving an E46 320Ci. But, because he was getting older and finding it more of a challenge to get in and out of the car, he offered it to me as my first car. I very gratefully drove it for a couple of months, but then crashed it. The accident was my fault, the car ended up on its roof and was, of course, a write-off. But Nick had only had that E39 for about six months before he bought another BMW; this time an E30 325i Convertible, which cost him £400. “This was very much a project car, which I subsequently worked on over a couple of years. In fact, I’ve still got that one now, but it’s in terrible condition and really needs a full restoration. I’ll get around to it one day, then get it back on the road; it’s just a matter of finding the time. “I got very into E30zone.net and M3cutters and, while I was at university, spent most of my time reading and posting questions in those forums. On one occasion, I came across somebody selling an E30 estate fitted with a 2.8-litre engine, for £700. At that stage, I’d never owned an engine of that size, so couldn’t resist it, even though the car itself was in pretty poor condition; my plan was to take the 2.8 straight-six out of the estate and put it into my convertible. But what actually happened was that I got the bodywork tidied-up, sold it for £2,500 and took the profit. “This really got me into the idea of dabbling in the buying and selling market with E30s, which I continued to do right up until I started working full time after university, and earning a proper income. From then on I was able to start buying cars that were in better condition, so that I could enjoy driving them without the need to repair/restore them first. “Looking back, though, I have to say that although I never spent more than £1,000 on a car during those early years, none of them ever let me down mechanically. The engines were all great and all I had to deal with was the occasional brake problem, diff’ issue or air flow meter failure. These were all the sort of jobs that I could tackle within an hour at home, with basic tools. That says a lot for both the quality and the simplicity of the E30’s design. Another model that Nick’s always had a soft spot for is the E46 and, although he didn’t have one in his collection at the time of my visit, I gather that there was something interesting in the offing. “I’ve always really liked the E46 and it, together with the E30 and the E34, are actually my all-time favourites. I’ve owned a couple of E46 M3s in the past – one was a standard Convertible, but the other had a supercharged engine producing 538hp! “Once I’d got a job after university, and had started to earn a decent income, I bought my first E46 M3 which, in 2012, only cost me about £5,000. I’d sold the E39 to help fund that purchase, and the step-up in performance was obviously massive. It was a great car with a manual gearbox, but I only kept it for about three months. 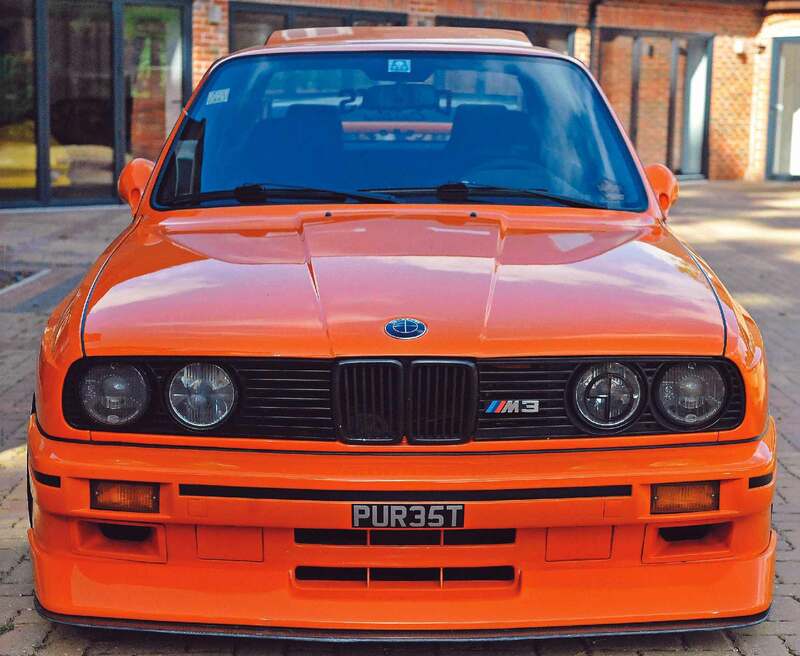 I sold it so quickly because a friend of mine – Adem Ergen, who is the man behind Fareham-based BMW tuning specialist Ergen Motorsport (ergen.co.uk) – had an S54-engined E30 M3 for sale. Nick then enjoyed a spell getting back to his ‘car trading’ roots, buying cheap BMWs on eBay, cleaning them up and putting them straight back on for sale again. “I used those cars as my everyday vehicles while they were being sold. I found it easy to make a profit on them, usually simply by advertising them better. Most of the secret lies in good photographs. So many cars – even today – are badly advertised on internet sales sites, with poor quality photos and badly-worded descriptions. “I bought a lot of cars from the ‘ended listings’ section, by simply offering the seller half the money that the car had originally been advertised for. At that end of the market, most people are simply after the money and, more often than not, will happily settle for a good deal less than they’d originally been asking, just to move the car on and get some cash. “But I think that what a lot of people fail to appreciate is that my car wasn’t a great example to start with. What I bought was a car that had rust all over the place – the roof, the wheel arches, the sills and the quarter panels were all suffering with corrosion. It took a lot of work to get the bodywork sorted out, which was all expertly handled by Stylehause Custom, in Northampton (tel: 07747 800803). Ultimately, I’ve saved the car. It’s been fitted with proper brakes and suspension, and the air ride system I used is based around coilover springs, so is fully adjustable. “I loved the car from day one, and stand behind all the changes made to it. What’s more, opinion about it has gradually changed as more and more people have seen it in the flesh, and come to appreciate the quality of the work involved. The conversion work has been really well executed; it’s certainly not like some back-garden project where someone has just thrown a few bits at a car, then painted it orange! “It’s a car that I intend to keep forever because I love it so much and think that the modifications have genuinely enhanced the vehicle. Contrary to what many might think, the changes haven’t destroyed the car’s value; in fact, I’ve had a number of ‘silly money’ offers from serious people wanting to buy it. Some of these have been for more money than the car would have been worth in standard trim. Interestingly, though, Nick now feels that he’s drifting slightly away from the modification side of the hobby. “It’s certainly easier not to have to do things to a car. When I used to buy vehicles at the bargain-basement-end of the scale and work to bring them up to a decent standard, there was more of a temptation to make modifications as I went. Having said that, Nick still gets the itch to make changes now and then, as he told me. “I have a very rare, four-door E36 M3 that’s finished in Dakar Yellow – I think there were only about 15 produced in this colour. Originally, I bought it as a track car, but fitted it with an authentic, extended red leather set that I found somebody selling online and, with that in place, I think the yellow and the red make a great combination.” Although Nick’s car collection consists mainly of older BMW models, he has dabbled with new cars on occasions, too. “I bought my first brand new BMW in 2016, but I’m unlikely to repeat that experience. The car was an F86 X6 M and, in itself, was a brilliant car to drive. The problem lay with its depreciation rate, which was absolutely horrific. After 20 months of ownership, I couldn’t stand it anymore, so I decided to cut my losses and sell it. I kept expecting the depreciation rate to slow, but it just never did and, even at the time I sold it, the value of the car was still dropping by £1,000 a month; it was ridiculous! But, despite having his pick of BMW’s new car range, Nick still finds that many of the models he tries leave him feeling disengaged. “Overall, the new models just don’t have the same allure as the older ones for me; I just don’t have any real attachment to them. I certainly enjoy driving them and they are great at what they do, but they don’t stir the emotions in the same way that the classics do. It seems funny to say it but, in some respects, the latest cars are almost too good. They do everything so well that it’s almost as though all the emotional feel has been engineered out of them. 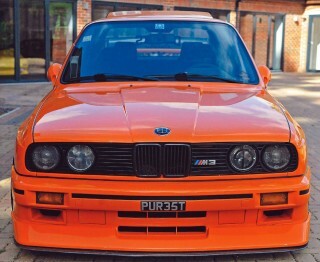 It was as though I’d committed some sort of sacrilege by daring to modify an E30 M3! 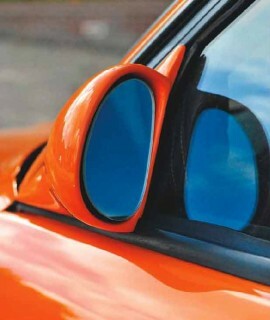 A carbon fibre boot spoiler extension adds a sporting flourish, and the car is fitted with a custom exhaust system. 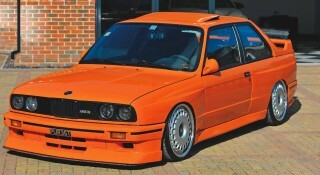 Things have calmed down completely, now, and this E30 M3 is widely known and liked in BMW circles. It remains Nick’s favourite car. 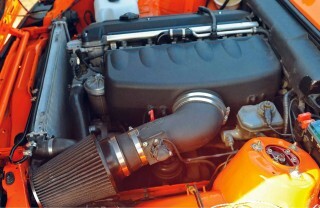 The primary modifications to the S54 engine include a K&N intake system and an Alpha-N remap. The E30 M3’s interior has been re-trimmed in grey Alcantara, with contrasting yellow stitching. This rare, Dakar Yellow, E36 M3 saloon… … has now been fitted with an authentic red leather interior that Nick found for sale online. I taught myself everything, using a combination of trial and error, reading and internet research This E34 Alpina B10 3.5 now wears the registration plate once fitted to Nick’s father’s first BMW. Nick’s 2017 M4 DTM Champion Edition is a car that’s likely to do very few miles, tempting though it may be to use it. Nick bought this car with the S54 engine already fitted, but has made significant, extra changes to its specification since then. This was a very controversial car when the modifications made to it were first announced. Nick literally received hate mail as a result! 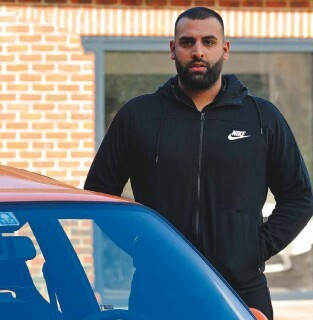 Nick Sahota currently owns 14 BMWs but, with garage space for up to 26 cars, more are sure to be added to the collection in the years to come.